Having attended Mobile World Congress (MWC) for the first time last year we returned to Barcelona bigger and better. With such a great show in 2011 we hoped that this year would bring similar results and we were not wrong, in fact the the buzz and coverage we recieved surpassed all our expectations. Before MWC officially kicked off we attended ShowStoppers, a media only event that allowed us to demonstrate our Aridion™ technology to media and journalists from around the world as well as answering any questions they had. Over the course of the day we were interviewed by leading technology sites including Mashable and BBC Technology. MWC which ran from the 27th February to the 1st March, the pattern continued as we carried out almost hourly interviews and demonstrations and you can see a collection of these interviews and videos by liking our Facebook page and clicking the links. We were also the topic of conversation for many podcast sites and you can listen to The Fonecast interview with our CTO, Dr. Stephen Coulson here and clicking on the Electronics tab. In addition to this, MWC was also the venue to announce the winner of the Smart UK Project award. The Project was set up to find Britain's most innovative mobile company and despite not winning the award we were delighted to be a finalist from 79 initial company entries. You can watch the summary of the Smart UK Project awards here. 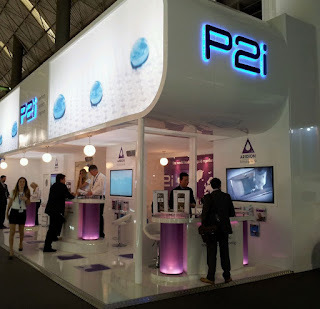 If you have any questions about our Aridion technology and how it protects your electronics from water damage, you can email us at info@p2i.com. Next up for us is AudiologyNOW! in Boston.